All ages with an interest to learn about coding. I checked out these books from my local public library. Sometimes it is hard being a librarian, because there are so many amazing things us, but we don’t always have the time to learn about all of them. I have been interested in coding ever since the Systems Manager at the library where I work began offering opportunities where kids can learn coding using robots. The kids seemed to understand it all, but I was a bit overwhelmed at where to start. 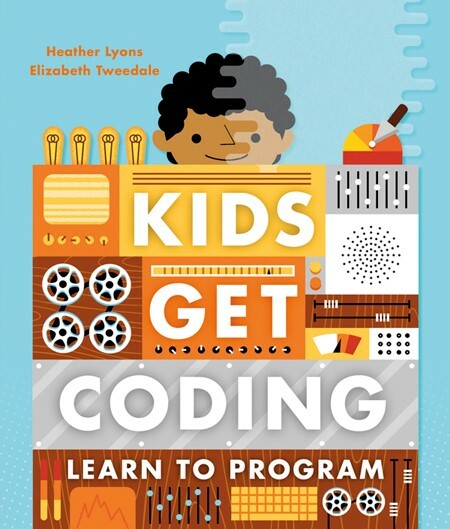 Enter these three books in the Kids Get Coding series published by Lerner. 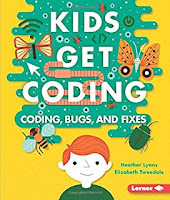 The authors, Heather Lyons and Elizabeth Tweedale, founders of blue[shift], a coding school in West London, England, have written a kid-friendly set of books with easy-to-follow directions on learning how to code. Each book combines simple, direct text with a visually appealing layout. To assist with hints and tips is Data Duck, the series computer mastermind. To help readers understand each step of the programming process there are activities that build on each step with an answer key in the back and links to the authors' website for more opportunities to practice. 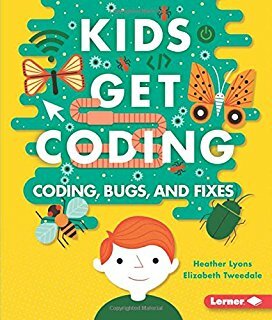 Kids Get Coding:Coding, Bugs, and Fixes covers algorithms, loops, bugs, and fixes. The graphics resemble Scratch programming, giving the book an important visual element for learning. One of Data Duck’s questions asks, What happens if you get the steps wrong when writing an algorithm? 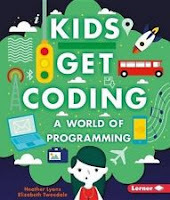 Kids Get Coding: Learn to Program talks about the different programming languages (HTML. Python. Java. Scratch.) young coders can use to write computer programs. Data Duck explains, A computer programmer needs to write the program in the best language for the job it needs to do. For example, Python is better at organizing information and HTML is better at displaying it on a web page. In addition, one needs the right syntax to write code in loops (a program that repeats) and learn how to debug your program. Kids Get Coding: a World of Programming helps readers discover what is digital content and how it is made, stored, and used. Inputs and Outputs, using special programs to store digital content, how to name files and save them, Bits and Bytes, file extensions, to storing information. Kids Get Coding: Online Safety for Coders reminds kids of their digital footprint. It is important to know what happens to the information we post and leave behind. The authors briefly explain how search engines work and ways to protect your identity. Though the series has some minor flaws, such as no pronunciation guide, and a few of the links within BlueShiftCoding take you to another page within the site, overall these are very helpful by offering a very basic understanding of coding. Use in conjunction with hands-on activities in a classroom or in helping a librarian prepare for teaching a Scratch coding class at the public library.